The Seattle Art Museum exhibits consist of three distinct institutions - the Seattle Art Museum (SAM), the Asian Art Museum and Olympic Sculpture Park. Within the three, visitors take part in a decidedly Seattle experience, one that combines the sensibilities of the Northwestern landscape with the influences of European and Asian cultures that enhance the region. You might need a couple of days to take it all in, because under the umbrella of these three destinations are arts from all over the world and across time. SAM and Asian Art Museum suggest a donation of $9 for adults, $5 for seniors (62+), military w/ID, students w/ID and teens. Children 12 and under: free. Olympic Sculpture Park is free of charge for everyone. Seattle Art Museum and Asian Art Museum are open Fri-Sun and Weds, 10 a.m.-5 p.m.; Thurs, 10 a.m.-9 p.m. Closed Mon-Tues, and major holidays. Olympic Sculpture Park is open 30 min. before sunrise and closes 30 min. after sunset every day. 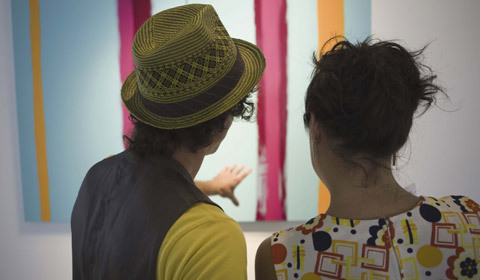 What types of art collections are on display? The Seattle Art Museum and Asian Art Museum offer a vast array of artwork from all over the globe. You might see Chinese pottery from the early 18th century or paintings by American impressionist Mary Cassatt. The Olympic Sculpture Garden features contemporary works from the 1960s to the present. One-hour tours of the Garden are given, but check the calendar for date and times. How often do the exhibits change? There are always special exhibits at the Museums, and the times they remain vary, but usually count on them being there for a few months at a time. Your admission donation includes the cost of viewing these special exhibits. Tickets can be purchase in advance on the SAM website. Why Stay at Travelodge Seattle by The Space Needle?